Born out of the Robb Report Magazine, Robb Vices are hand-curated luxury items delivered directly to your door. Once you join, you receive access to exclusive events and preferred pricing on luxury products. Storied treasures in the way of fine wines, foods, toys, tools, spirits, accessories and tech items delivered to your door along with a book published to tell their story. Every month you will receive a delivery with a focus on the products and experiences that bring out the best in life. Products are curated for the sophisticated consumer and connoisseur: fine spirits, handmade leather goods, high quality foods and other rare finds. With respect to your leap of faith, we deliver products that greatly exceed the cost of each box. Born out of the Robb Report Magazine. 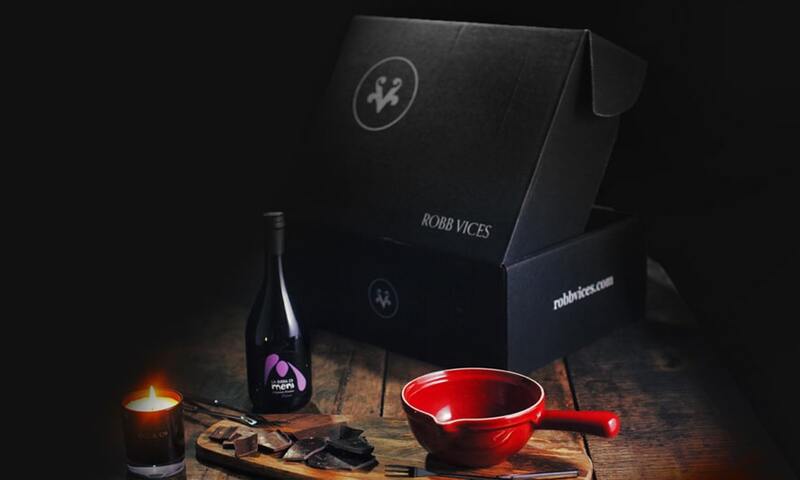 Welcome to the Robb Vices membership, a journey designed for those with a profound appreciation for the authentic and unique. This program delivers a curated selection of exceptional goods that promote those vices that bring out the best in us. Each delivery is meant to stimulate our curiosity, support artisans that keep authentic craft alive, bring us together in celebration, and support moments of thoughtful pause. This membership is not for the masses. We are not for everyone. Robb Vices is for those who seek out rare and exciting experiences, dig for reason, welcome the surprise and live for the moments. This mindset unites us and forms the very foundation of our community. With that, I invite you to join us on this journey of discovery.